The SVR-19 Walkie-Talkie Transceiver Recorder is a fully functional shoulder mic which houses a video recorder, audio recorder, and still photo camera. The SVR-19 was designed to save departments and individual officers' time and money. On-site, up close video and audio recordings document what actually happened during an incident protecting departments and individual officers from frivolous law suits. The SVR-19 also reduces hours spent on report writing. Second by second time/ date stamp and specific departmental input codes support the implementation of a chain of custody of evidence protocol. We provide two supporting software to help you to view the video clips, audio clips, and photo. 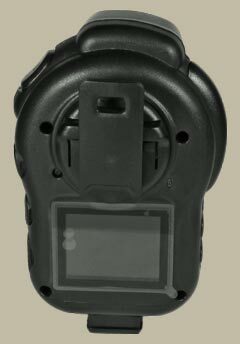 The SVR-19's full color LCD screen provides many important pieces of information.